In June, I told you all about #baketogether and introduced two refreshingly vibrant sorbets for the occasion. After Abby Dodge gave us a “lazy days of summer” extension on the July posting, I’m back with the next installment of deliciousness! This month she challenged all of us to create a summer fruit cake. Abby’s original version was a simple, single layer cake with raspberries and blackberries baked into it. It’s a perfect summery fruit cake because let’s face it, summer is all about the berries! However, summer is also all about stone fruits. Peaches, plums, apricots, cherries… oh my! For summer fruit cake “my way,” I decided I wanted to go in the direction of the other great summer fruits. 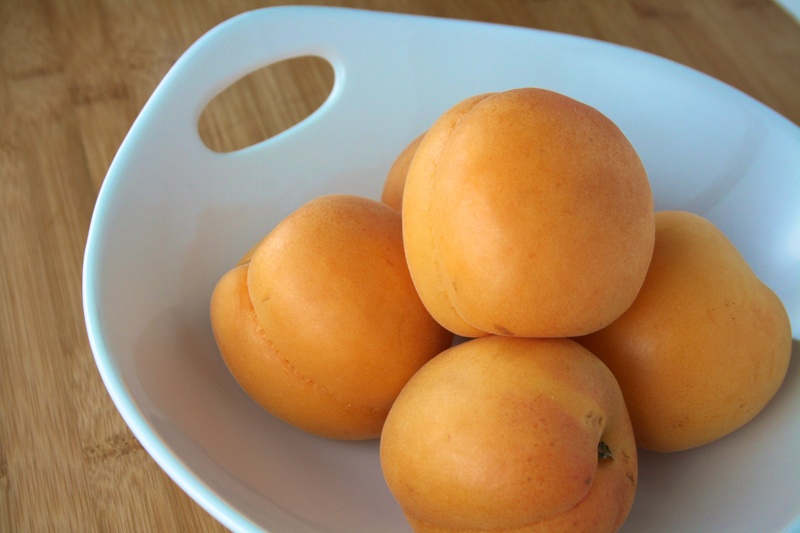 I chose sweet golden, velvety apricots to be the star of my cake. I’ve been eating apricots a lot lately and really have been meaning to bake with them so this was the perfect occasion. 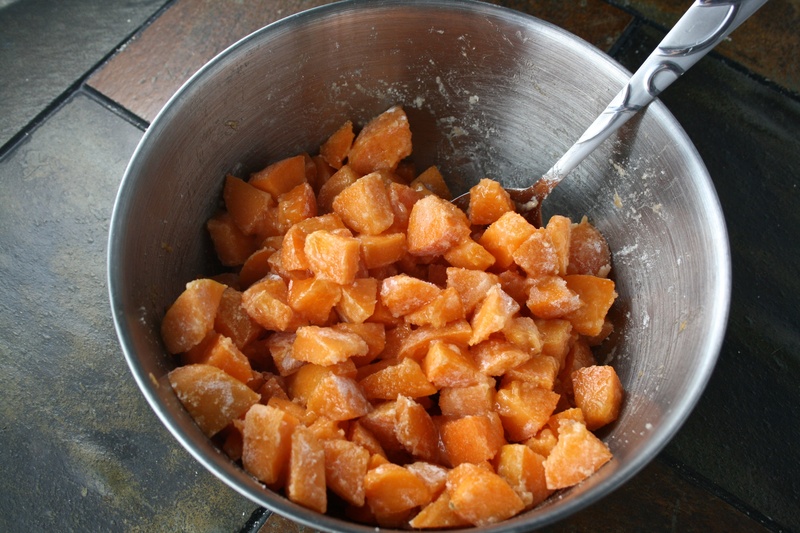 I decided to bake my sweet apricots into a brown sugar batter laced with both fresh and crystallized ginger. Let me just tell you… the combination was addictive! The blend of ginger and apricots was so complimentary. I shared this cake with my family and have already received requests to make another one! 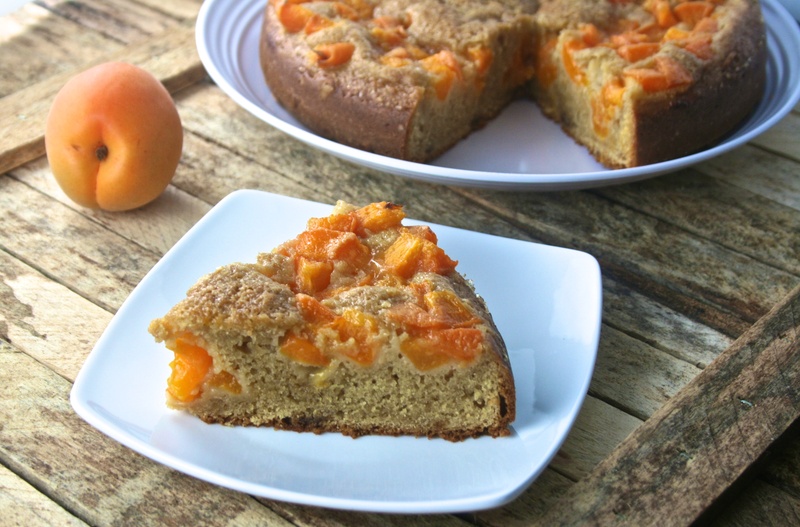 This is a simple, easy cake to showcase these flavorful apricots. And be sure to check out everyone else’s delicious creations as well! – Position an oven rack in the middle. Heat the oven to 350 degrees. 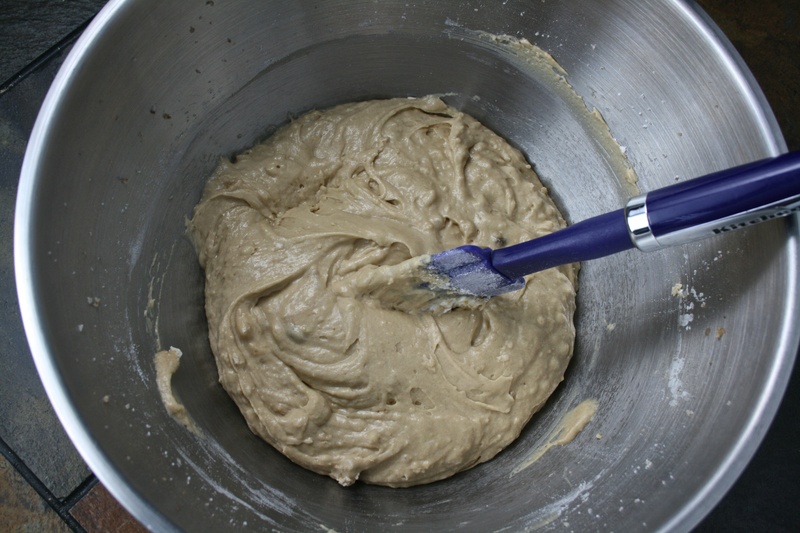 – Lightly grease the bottom and sides of a 9×2-inch round cake pan. Lightly flour the sides and line the bottom with parchment paper. 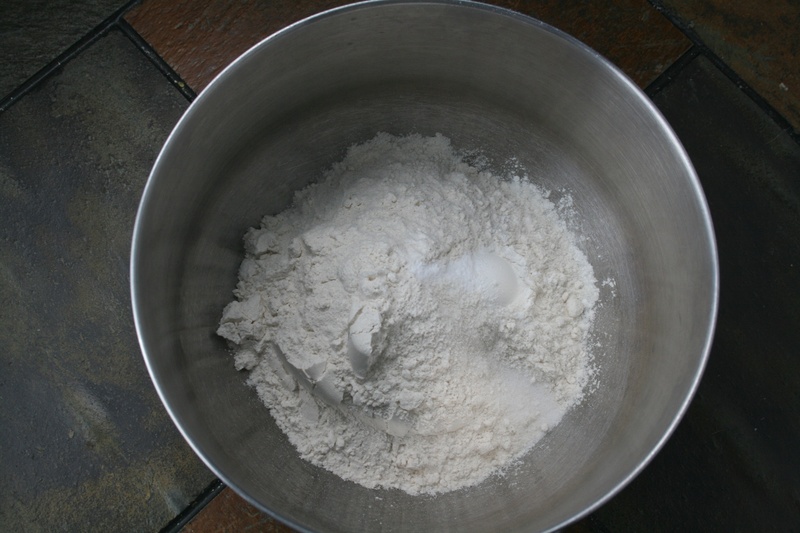 – In a medium bowl, whisk the flour, baking powder, baking soda and salt until well blended. 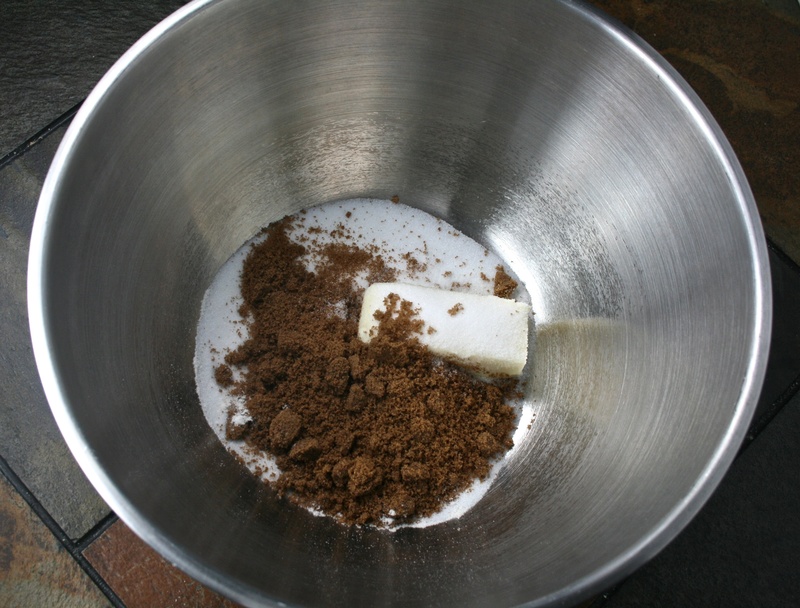 – In a large bowl, beat the butter and sugars with a mixer on medium-high until well blended, about 3 minutes. – Add the eggs one at a time and the vanilla with the second egg. 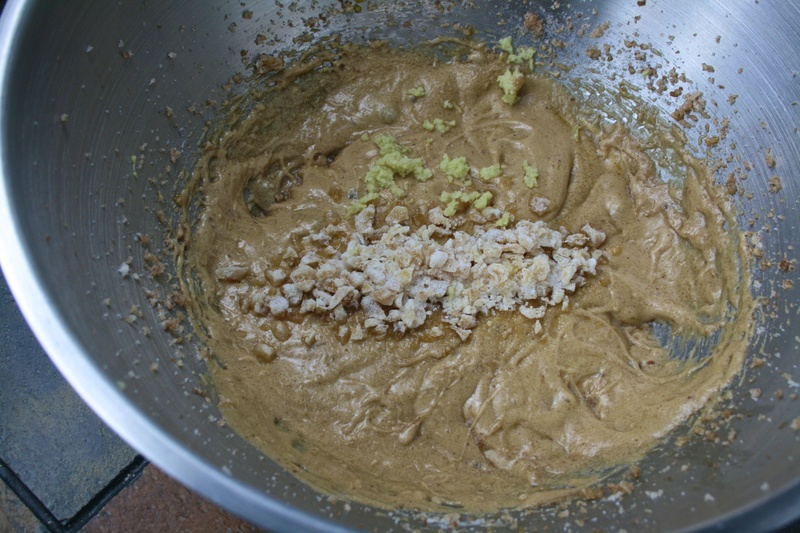 – Add the grated fresh ginger and crystallized ginger. – Using a rubber spatula, fold the dry ingredients and the sour cream alternately into the butter mixture, beginning and ending with the dry ingredients. 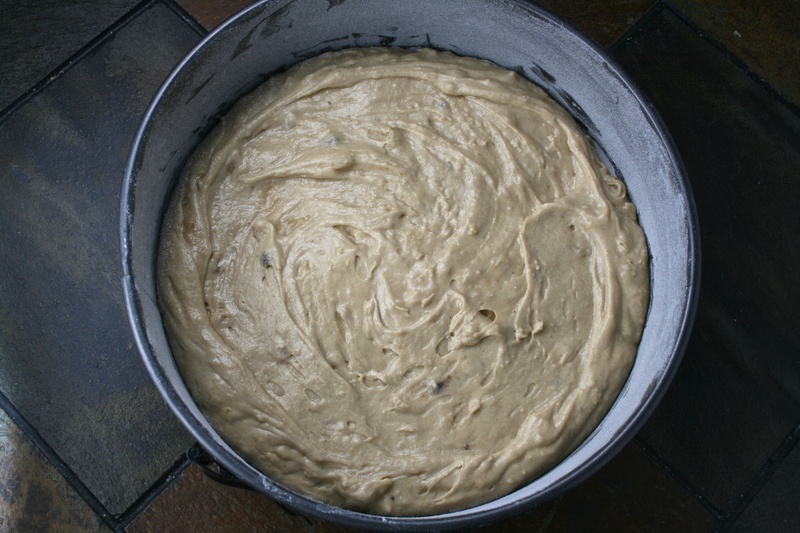 – Scrape the batter into the prepared cake pan and spread evenly. 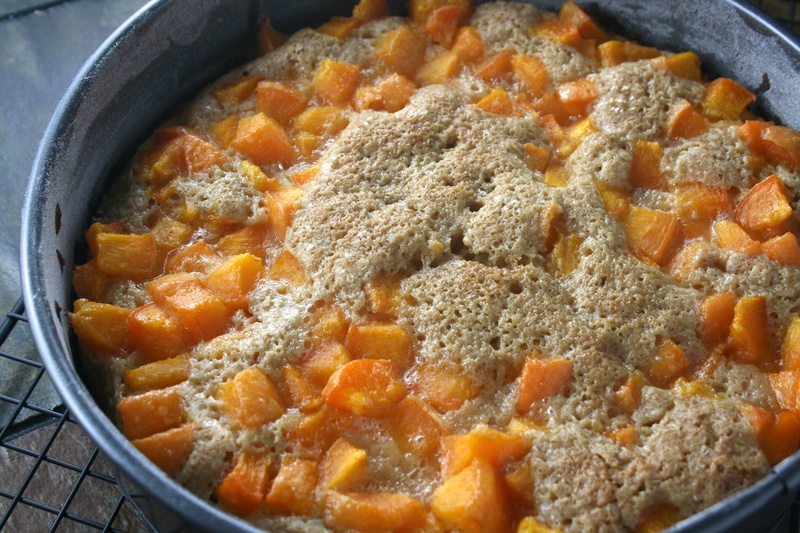 – After you put the cake in the oven, combine the chopped apricots, remaining tablespoon of sugar and tablespoon of flour in a small bowl. – After the cake has baked for 15 minutes, slide the oven rack out and scatter the fruit evenly over the top of the cake. Sprinkle with turbinado sugar. – Continue baking until a toothpick inserted in the center of the cake comes out clean, about an additional 40 minutes. – Transfer the cake to a rack to cool for 15 minutes. – Run a knife around the inside edge of the pan to loosen the cake. Using a dry dishtowel to protect your hands, place a wire cooling rack on top of the cake pan and holding onto both the rack and pan, invert the cake. – Life the pan up from the cake. Peel away the parchment paper. Place another wire cooling rack on the bottom of the cake and flip the cake one more time so that the fruit is on top. – Serve warm or at room temperature. * The baked and cooled cake can be wrapped in plastic wrap and stored at room temperature for up to 5 days. Why do I do this to myself? Look at something that would be perfect with coffee for breakfast before I’ve even made the coffee and my only breakfast will most likely be a bowl of cereal. 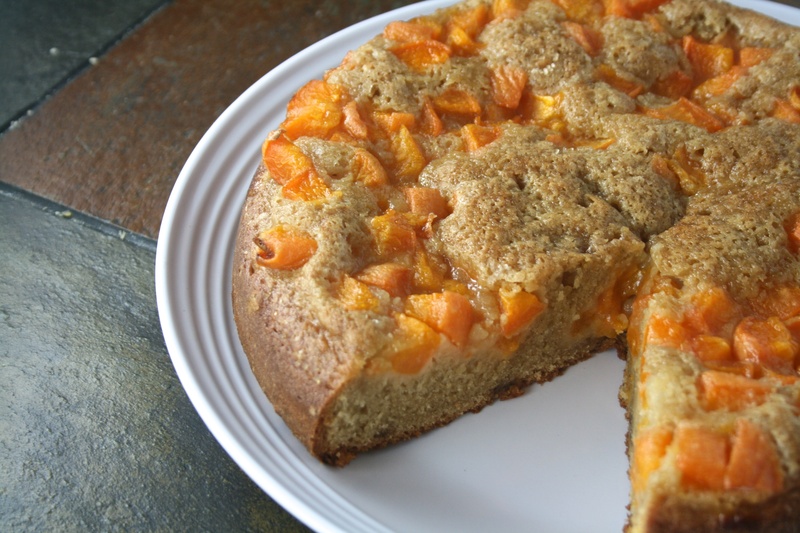 The combination of apricots, brown sugar and sour cream makes me want to run out for some apricots right now! Barb, you always leave me the very nicest comments. Thank you!! Fantastic flavor combo! I love me some crystallized ginger!! I finally figured out what I wanted to do with my cake this morning! There will be apricots involved. Yum!!! Ooo! I can’t wait to see your #baketogether creation!!! 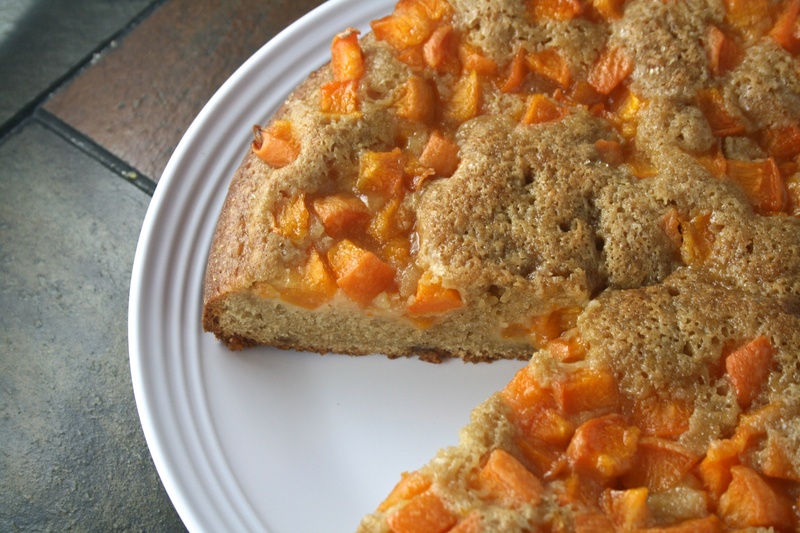 This was the first time I’ve baked with apricots… it was a wonderful success.